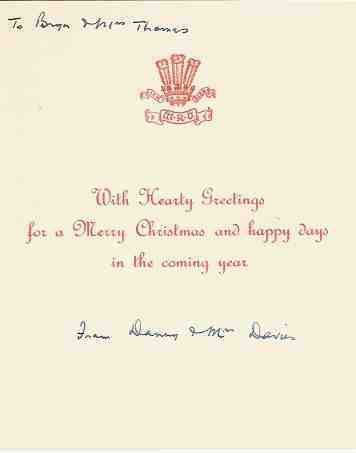 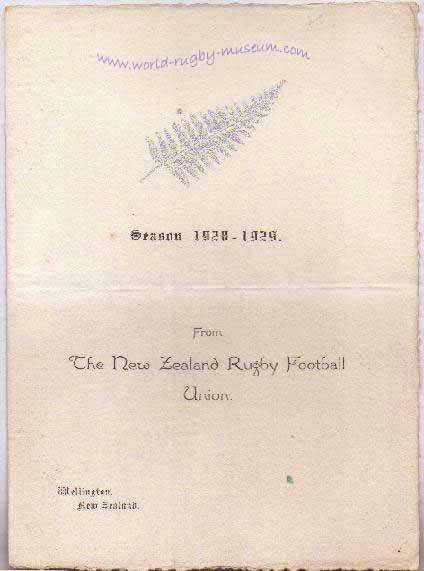 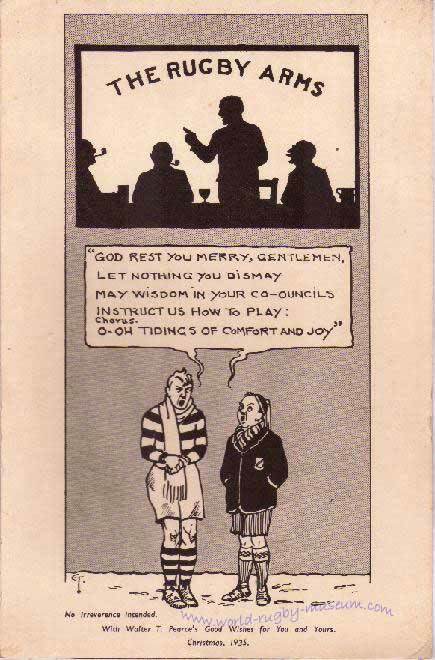 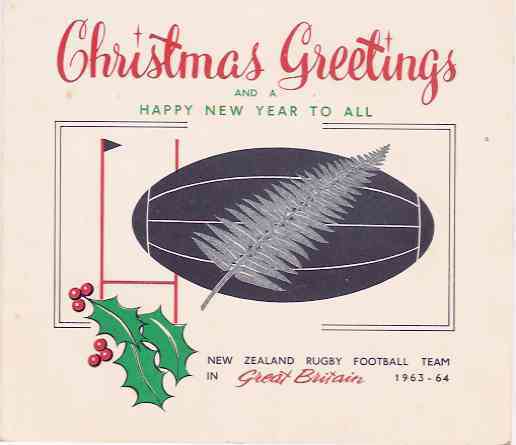 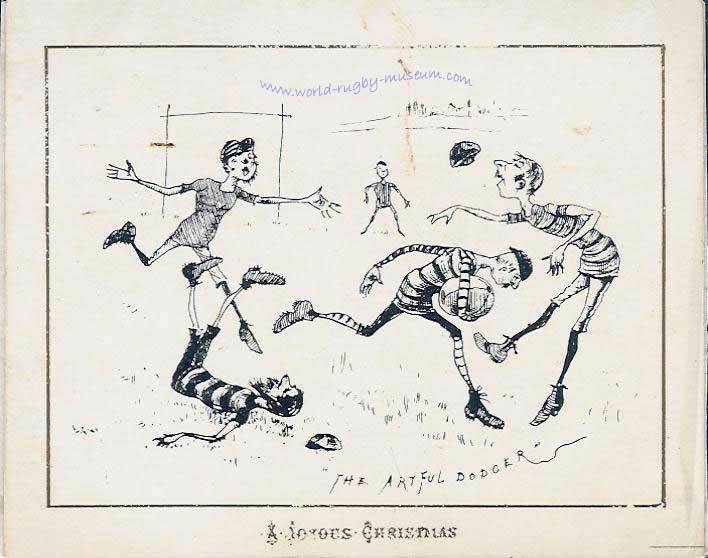 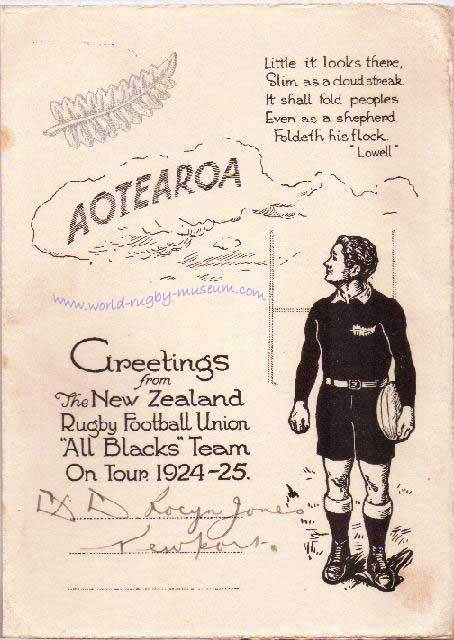 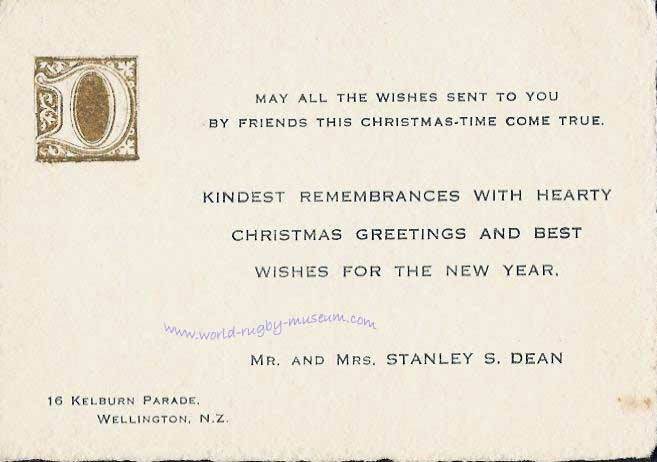 Many of the early touring sides found themselves in the British Isles over the Christmas period, special cards were printed for the players and officials to send their season's wishes home to their loved ones. 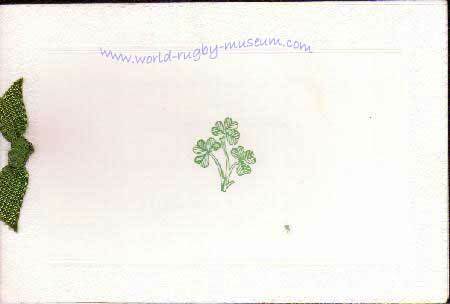 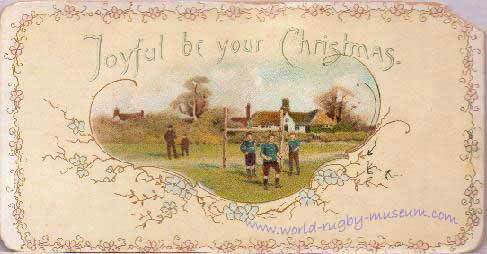 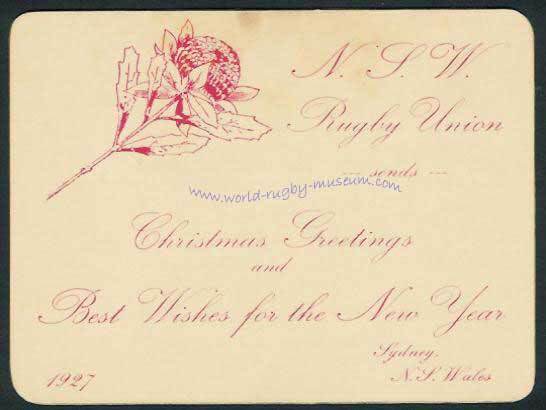 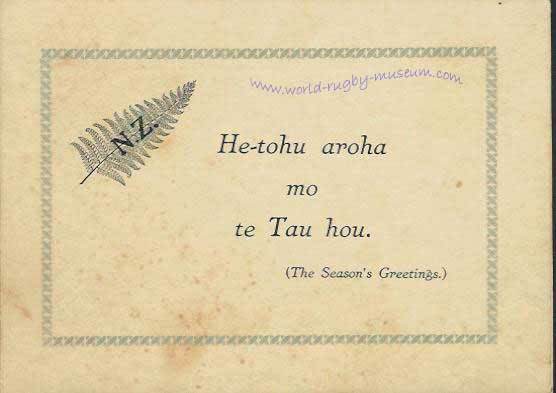 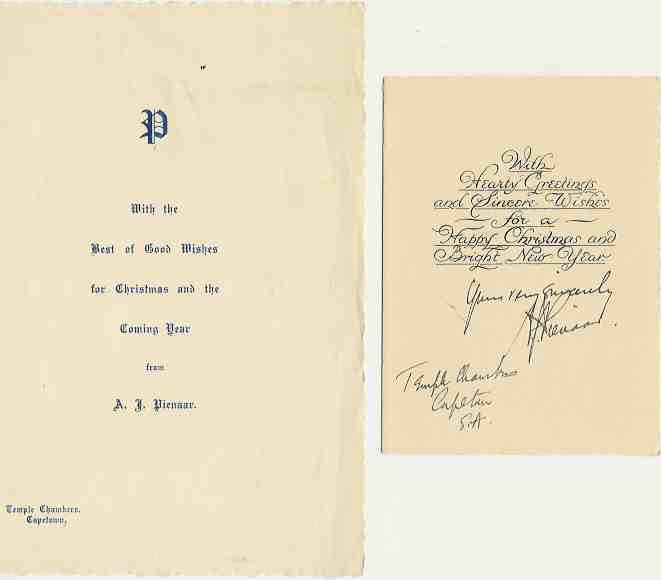 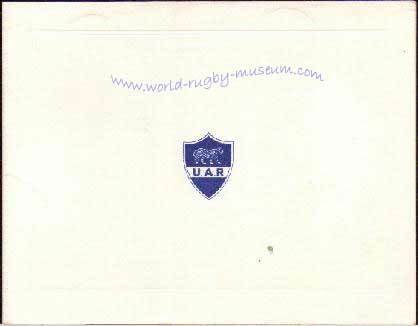 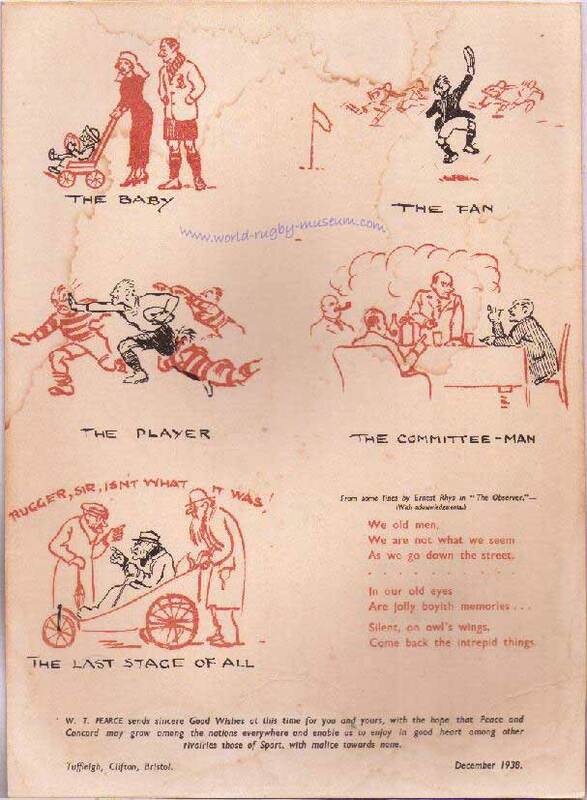 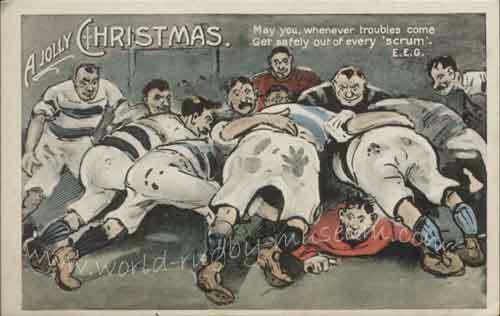 The Xmas cards of former RFU President Walter T Pearce (1871 - 1940). 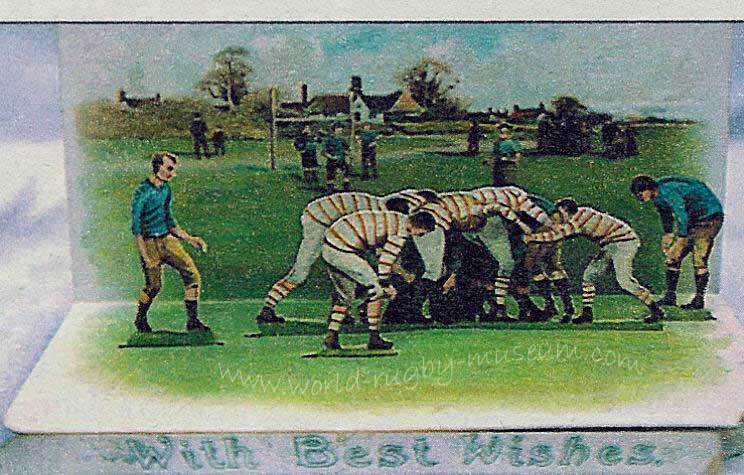 Pearce was a Bristol man through and through, he is credited with introducing the game into Bristol Schools in 1898 . 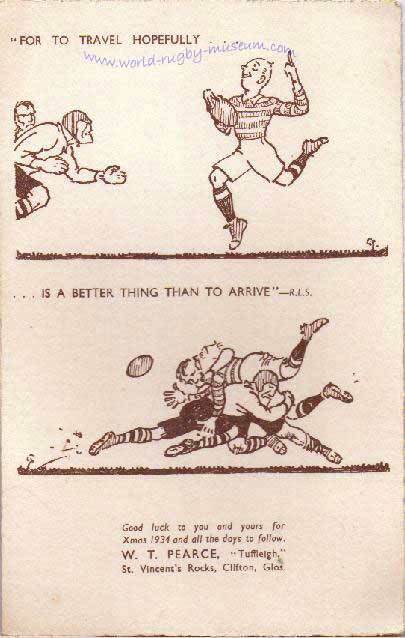 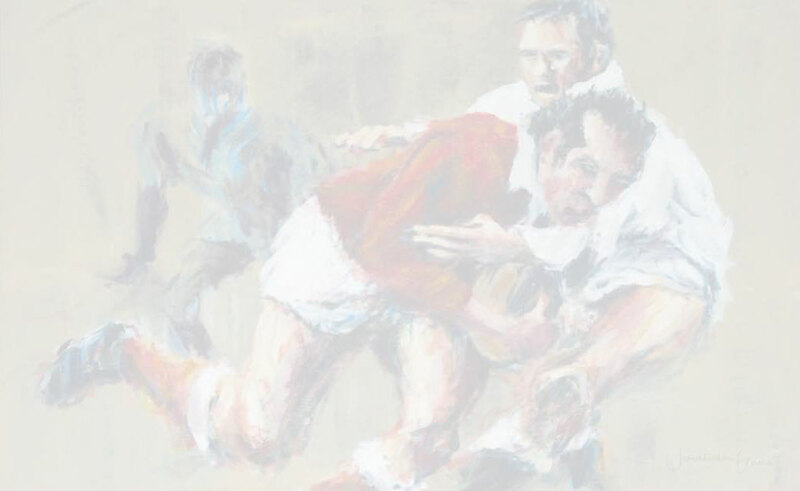 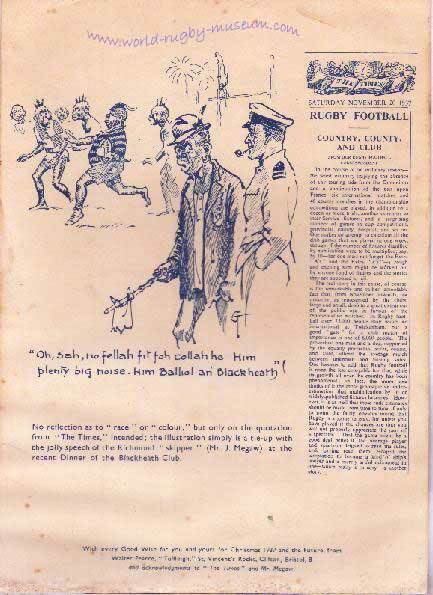 He represented Gloucestershire on the RFU between 1913 -and 1931. 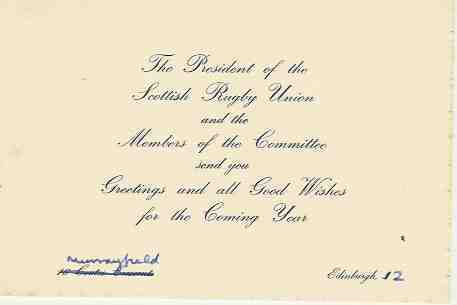 He served three terms as RFU Preseident, 1929 - 30 to 1931 - 32 being succeeded by Adrian Stoop. 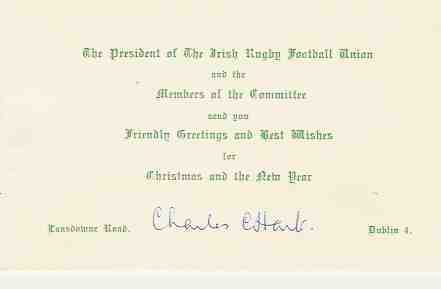 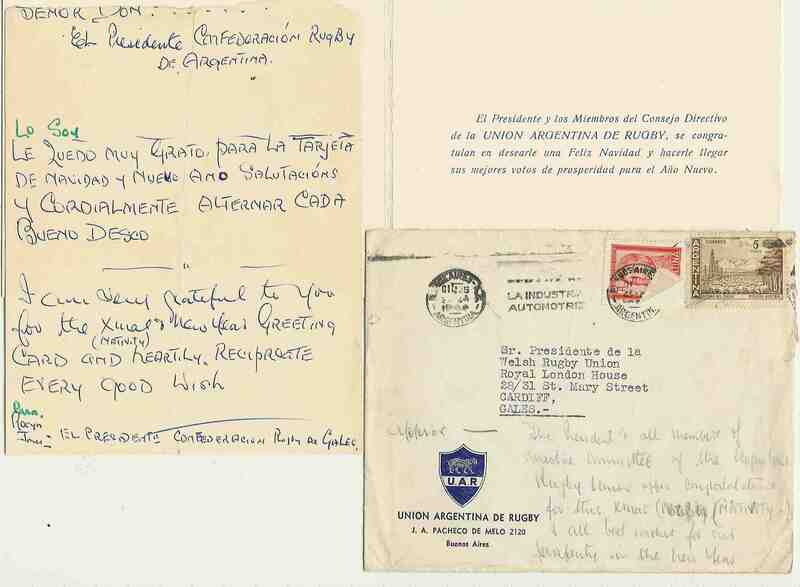 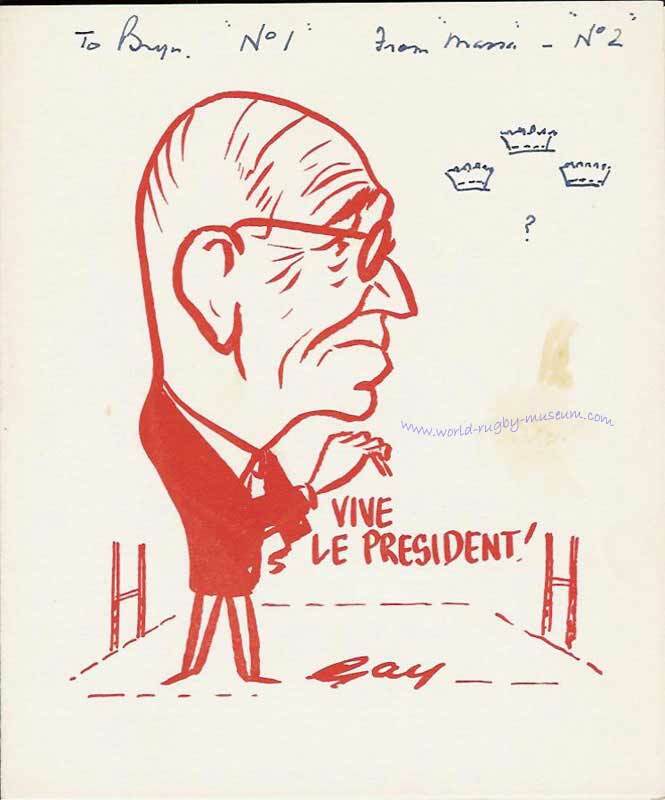 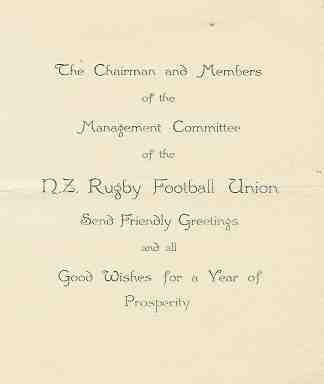 The cards below were all sent to WRU President Sir David Rocyn Jones.